Improve middle school students' comprehension of complex literary and informational text. Leveled Books make content and literature accessible to diverse students. Doug Fisher & Nancy Frey authored ACT Now! so that teachers and students have an effective close reading resource to guide students to success in building key skills. Annotation, Collaborative conversations and writing. Topic sets include authentic texts, primary sources and CC Exemplars. 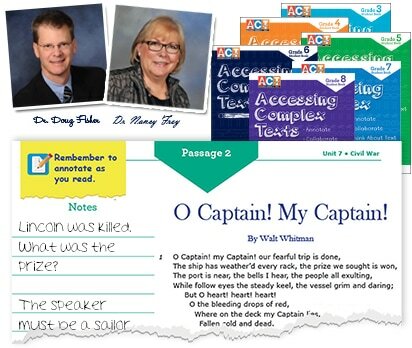 Provide access to middle school content by using text pairs at two reading levels. Matching texts at on- and below- grade levels accommodate diverse students in Gr 6-8+. Help ELs and Striving Readers progress to grade-level text and content. Books are below-grade reading levels make grade-level science, social studies, and ELA topics accessible. 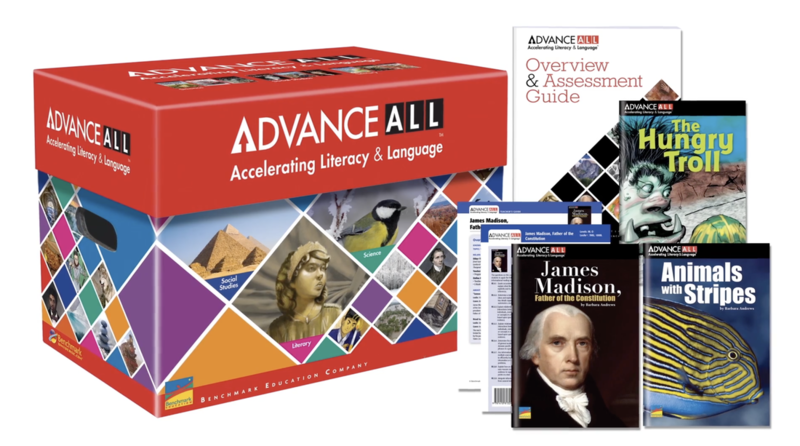 Accelerated introduction to on-grade level text and graphic features prepares students for complex texts. 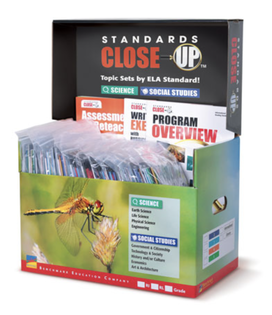 Leveled topic sets help students meet new standards while building science and social studies knowledge. Develop language and literacy for older students reading at primary levels. Skill bags provide systematic lessons that increase vocabulary, comprehension, and content knowledge. 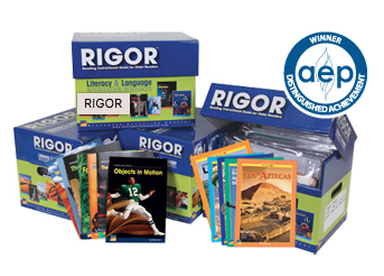 RIGOR meets RTI guidelines for Tier II and Tier III intervention and has proven successful among older Els and striving readers. Provide strategy-based instruction and intervention with consistent modeling and resources at the right levels. Target 10+ comprehension strategies based on the new standards. Pre-assess, monitor and confirm mastery. Use Whole-group resources to model and instruct. Guide practice and application of strategies in leveled texts connected to strategies. Extend and personalize learning with e-Resources. Customized Summer School sets available. Leveled books, including mentor texts, develop understanding on genres. Writing diverse genres turns students into authors who understand other authors. Reading genre examples improves comprehension of different types of literature. Analyzing genres teaches the skills students need to meet state standards. Extend learning with Skill Bags that build word study skills to improve spelling, reading, and vocabulary. 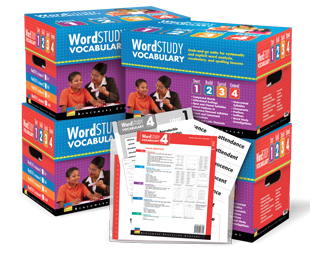 Each of 4 Word Study Kits includes a full year of sequential or targeted instruction. 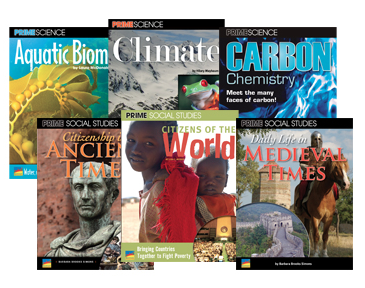 Make Science and Social Studies accessible while developing literacy and language. 192 language-leveled texts scaffold vocabulary development and nonfiction comprehension. 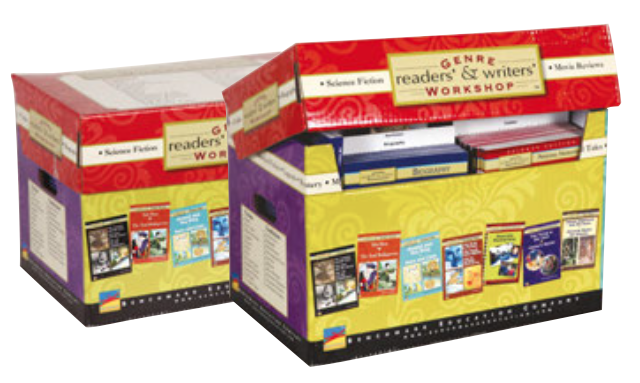 Theme sets include books at four levels for diverse ELs. Outstanding photos engage students and support text. Audio CDs and talking e-books increase fluency.